The construction of Interstate 5 in northeast Portland in the 1960s was a classic urban renewal catastrophe. 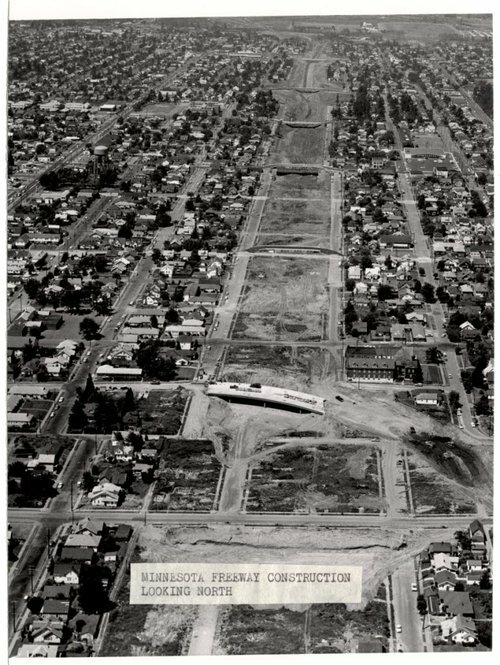 To make room for this highway, the state of Oregon bulldozed hundreds of homes in Albina, a majority black neighborhood, paying owners as little as $50 apiece. The neighborhood was never the same. In the 1970s, Portland gained a reputation for highway revolts — successful campaigns to stop the Mount Hood Freeway and tear down Harbor Drive. But the old political instinct to cram more cars through cities never dies — not even in Portland. Right now, in 2018, a $450 million expansion of I-5 in the Rose Quarter area is marching forward with the backing of the city’s Mayor, Ted Wheeler, and Oregon DOT. ODOT has taken great pains to present the project as a more enlightened breed of urban freeway widening. The design includes a bicycle bridge and a landscaped cap spanning part of the sunken highway. But make no mistake, the purpose of the project is to add lanes for cars and rework interchanges to pump more traffic through I-5. That’s what most of the money is for. Oregon DOT isn’t fooling the “No More Freeways” coalition, which includes the Portland NAACP, Oregon Walks, and the Eastside Democratic Club. They point out that adding highway capacity will exacerbate public health problems and undermine the city’s climate goals while doing nothing in the long run to solve congestion. “The investment is fundamentally antithetical to the Portland region’s values in the 21st century,” said Aaron Brown, a leader with the volunteer group. ODOT wants to add two “auxiliary lanes” to a four-lane freeway segment just over a mile long. The agency says it will shave minutes off rush hour car commutes. But even an analysis commissioned by ODOT found that any effect won’t last long: By 2027, traffic congestion will still be significant with the I-5 widening. ODOT is also considering managing traffic with variable tolls that would rise during peak hours. Advocates want to move forward with the tolling plan without dumping half a billion dollars into highway expansion. Local advocate Jim Howell created a visualization to show how disconnected the new park spaces over the highway will be. ODOT’s visual of the freeway caps proposed as part of the I-5 expansion. ODOT also claims that this segment of I-5 should be rebuilt for public safety, saying it’s one of the most crash-prone corridors in the state. That argument is deceptive, says Kristin Eberhard at the Sightline Institute. There have been two fatalities in the project area in recent years, she notes, and neither could be attributed to freeway design: In both cases, drivers struck homeless men walking on the highway. The high number of crashes reported by ODOT are mostly minor fender benders. Meanwhile, Portland’s arterial streets really are in dire need of safety improvements. There are roughly five times as many serious crashes on these major surface streets as there are on the city’s freeways. If ODOT genuinely wanted to improve safety, it could devote $450 million to support Portland’s Vision Zero program instead of a highway widening. “They are spending half a billion nominally to improve safety but it’s just a guise for improving traffic,” said Cortright. Bike traffic is growing at an impressive rate on Flint Street, which currently gets around 10,000 bike trips per day. But Flint Street will lose its appeal as a bike route if the I-5 project advances, because it calls for demolishing the Flint Street overpass, severing the street in two. The new $15 million bike bridge ODOT is proposing to build, meanwhile, is in a less useful location. The I-5 expansion is trudging on, with the state legislature beginning to budget for the project last year. But the state will be counting on federal funding too, and the matter isn’t settled yet. ODOT still has to conduct an environmental review before it can access federal funds. In the meantime, the Portland Planning Commission could decide to remove the I-5 widening from the list of projects eligible for federal subsidies. Last year, one commissioner tried to do just that. He was overruled in a tight 6-4 vote. Advocates like Brown aren’t giving up. “It’s the last gasp of freeway builders trying to get half a billion,” he said. The last gasp of freeway builders? That’s funny. Let’s see, in just the last ten years or so there was the Katy Freeway megaproject in Houston and the 405 widening in LA and now we have the Denver I70 East expansion and I could go on and on and on. We are delusional. We need to start dealing with reality. That means understanding why DOTs do what they do and then finding the work around that will resonate and change things instead of writing the same freaking article over and over and over again. It ain’t working. Do you have a suggestion? Serious question, not trying to be snarky. I find this article (and the work Aaron Brown is doing) to be compelling and I’m hopeful it will result in this project being killed. Just a guess that the city of Portland is not the purview of ODOT. City of Portland is ofc free to pursue whatever it wishes. Deck parks are fine; they’re nice in fact. With respect to I-70 that’s a critical freight and commercial corridor for most of the state. There’s a lot of power and influence among all the western slope (ski) resorts. Other than for the legal harassment, when 5% of the population tries to bully the other 95%, the outcome is rather predictable. is that costs to everyone have grown. Have to say: well stated. Despite this they’re still panning a 2 billion dollar light rail line. Hmm, let’s cherry-pick slightly different years. From 2007-2015 Portland added 54514 jobs but only 13177 of these new jobs saw the workers get into cars. That’s a lot of folks working at home, riding bikes, walking and taking transit. The percentage carpooling also rose dramatically. At times during this decade things looked better, with actual declines in car usage. Did we hear the car folks calling for fewer travel lanes earlier in the decade when all those people using transit, bicycles and their feet were decreasing congestion? Nope, people just created new trips to clog the roads. It’s induced demand, and even CalTrans has accepted it as reality. ODOT has yet to formally acknowledge that each mile of travel lane they create adds to congestion. New light-rail lines will in fact be counterproductive. Increasing property taxes will make housing even more expensive. Increased congestion from trains running in and crossing streets will delay buses even more. 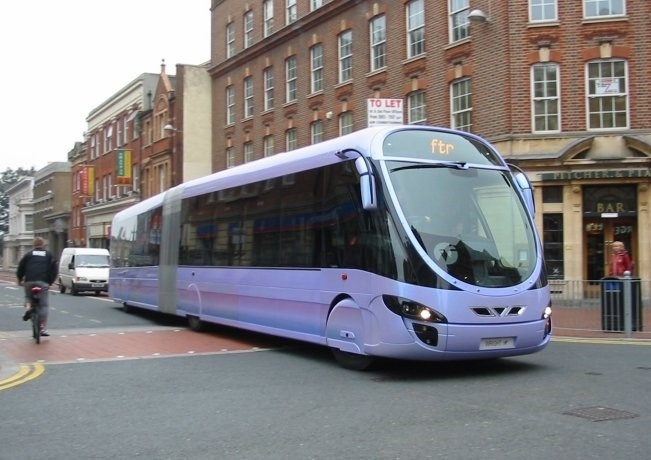 Rail’s high operating costs will probably mean higher bus fares. But this is typical of Portland’s light-rail mafia, which cares more about inputs than results. As the Portland Tribune noted a few days ago, census data reveal that the number of drivers on the road has greatly increased in the last three years. not require dedicated right of way or dedicated Bond measures. If they really wanna sell trains “image” to people; do what Hollywood does every day…………Fake it. I-5 or I-205 needs widening (or a bypass highway for the whole metro area needs to be built) for it’s impact on regional and national transportation. For large portions of the day, no thru traffic can get *past* Portland without spending multiple hours in traffic. There simply are no decent alternate routes, especially for larger vehicles (ex: trucks), and the bottleneck hurts transportation on the entire West Coast. In Portland, two road expansions with a combined pricetag of $1 billion seemed to be on the fast track for funding this year, with transit agency boss Neil McFarlane and city DOT chief Leah Treat lining up behind them, in addition to the usual road-building suspects. But it looks like the highway expansions are toast, at least for now. 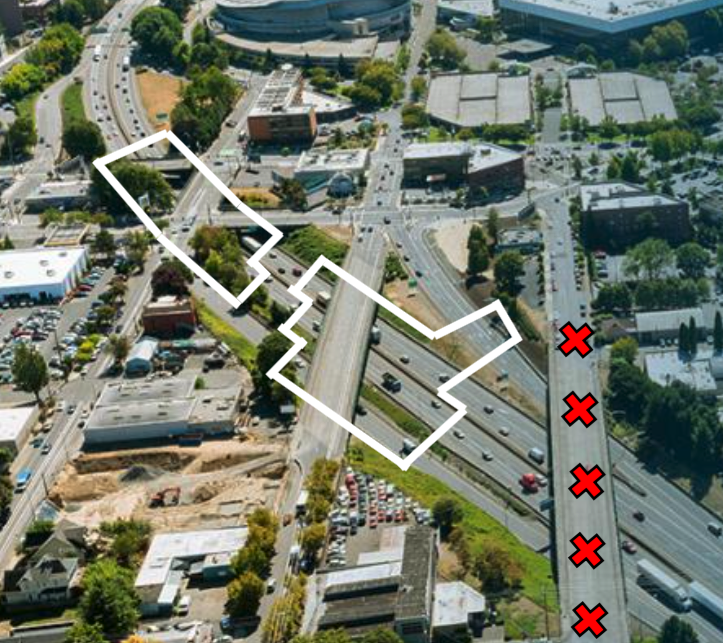 Is Portland Losing Its Resolve Against Highway Expansions? In the 1970s, some American cities revolted against highway expansion and kept the worst excesses of the interstate construction spree in check. Those cities tend to be the most walkable and transit-oriented places in the nation today. But in Portland that legacy is in jeopardy.